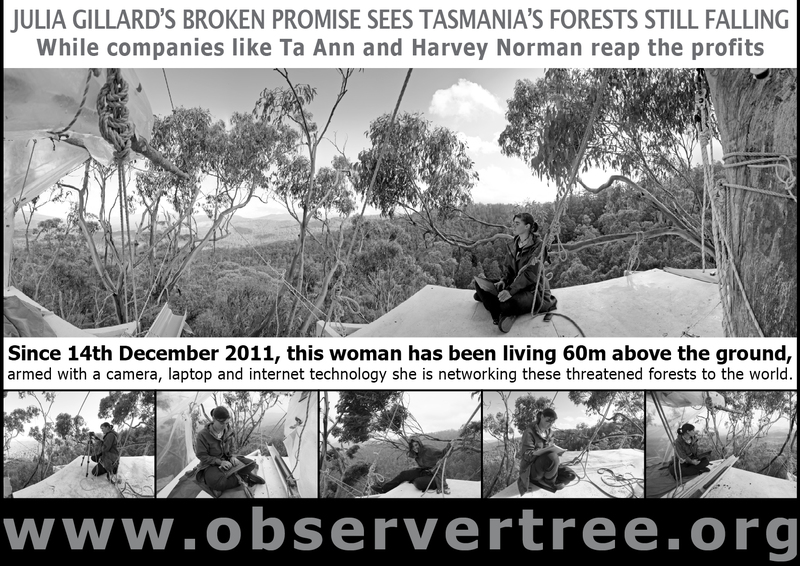 Check out this awesome new poster for the ObserverTree that shows some of the amazing support from all around the world for the protection of Tasmania’s precious forests. Click on the image below to download a pdf version of the poster that can be printed up to A2 poster size. 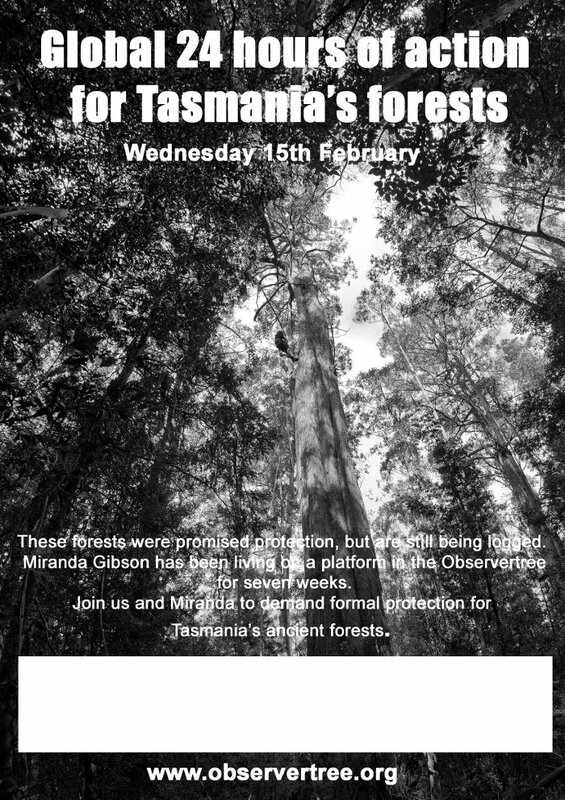 Click on the above flyer images to download pdf copies for printing out and distributing during the Global 24 Hours of Action for Tasmania’s Forests this week. 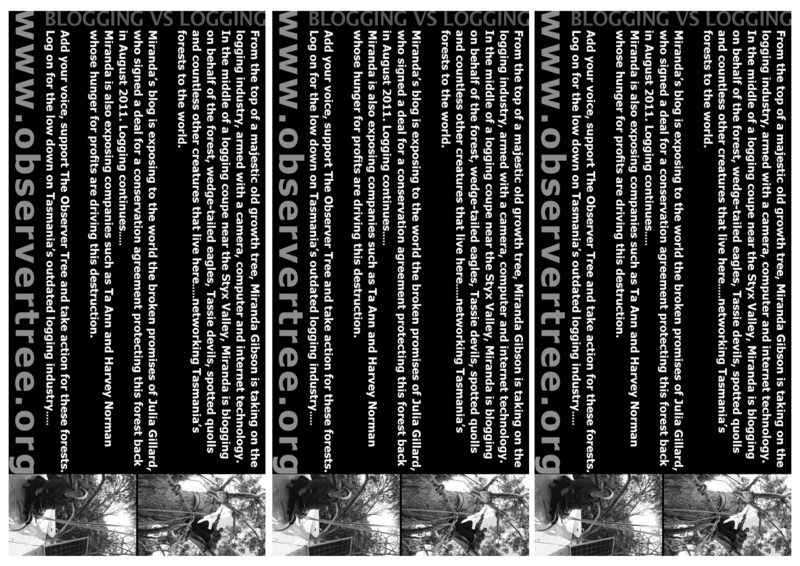 Click on the poster image to download a large pdf version. 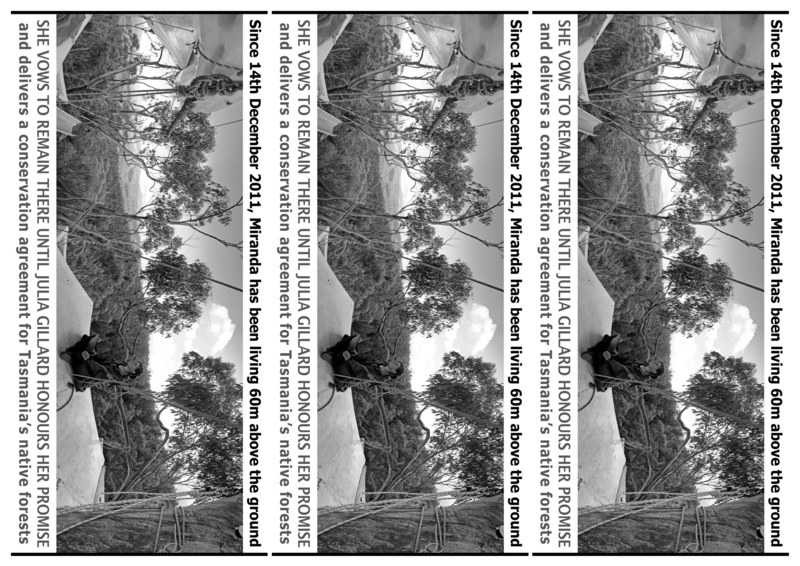 Use it to promote your local event for the Global 24 Hours of Action for Tasmania’s Forests!